For any hunter who hunts from an elevated platform or treestand, using a quality hunter safety system is a must. One key component of this safety system is hunter safety harness. 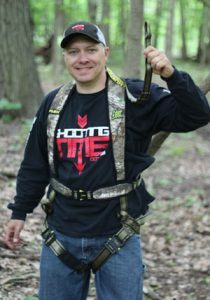 Many treestands come with a complimentary “harness” but they are often very poorly designed and leave the hunter frustrated to say the least. We strongly advise in purchasing a high quality, easy to use and very comfortable safety harness like the UltraLite Flex safety harness by HSS (Hunter Safety System). The Ultra-Lite Flex safety harness is an lightweight harness weighing in at 2 lbs and offers excellent comfort and support. It’s padded hexagon design delivers a flexible yet snug fit which will allow you to climb with ease. It has an easy to reach tether strap that has a sewn in shock absorber in the case of a fall. The Ultra-Lite Flex safety harness features 3 total buckles; one waist buckle and two leg buckles. The buckles are high quality and very easy to use. The bottom middle of the harness has a loop for attaching the suspension relief strap in the case of a fall. This is a key safety feature that could save any user’s life while being suspended (watch the video for a demonstration). 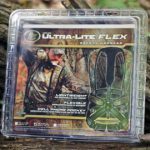 The Ultra-Lite Flex safety harness also features two lineman’s loops on both sides of the waist. These loops are used in combination with the Lineman’s Climbing Strap for hands free applications while ascending and descending the tree. All of the materials used and the construction methods of the Ultra-Lite Flex safety harness are of excellent quality and provide for a hassle free and safe experience while using it in the field. The harness is also completely adjustable allowing for a perfect fit. The Ultra-Lite Flex safety harness also comes with a couple accessories. Let’s take a look at them. This handy strap can be used, while tied off to a lifeline or tree strap, when you need your hands free while ascending or descending a tree. It allows you to lean back while remaining connected to the tree. 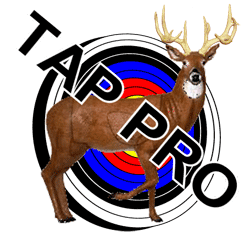 Common applications are: hanging climbing sticks, installing screw-in steps, installing a hang-on treestand, etc. To use the lineman’s strap, feed it through one of the harness’s lineman’s loops, around your body, through the other lineman’s loop, around the tree, and through the buckle. At this point, you will adjust it for a comfortable working distance from the tree. The tree strap is used for tying off to the tree. 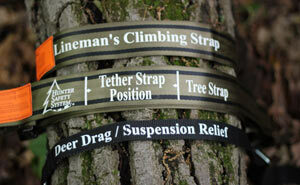 This strap is used while using a climbing treestand or as a tie off point while hunting. To use the strap while using a climbing treestand, simply snug it around the tree above your head and tie off to it. While ascending the tree, loosen and retighten the strap up the tree as you go. If using it as a tie-off point while in your treestand, install it above your head and tie off to it. It’s important to maintain 100% tie off so you will stay tied off to your lifeline while transitioning to the tree strap. This strap’s main purpose is for suspension relief in the event of a fall. While suspended after a fall, a user could suffer suspension trauma which traps blood in the legs and prevents circulation. This can be deadly. To avoid suspension trauma, you would attach this strap to the lower center loop on the harness and alternate straightening your legs to free the bind of the harness’s leg straps. This keeps your blood circulating and will save your life. This strap also doubles as a deer drag strap. Connect the strap to the bottom loop of the harness and then simply loop the strap around the antlers or neck of a deer. You now have a “hands free” way of dragging a deer. 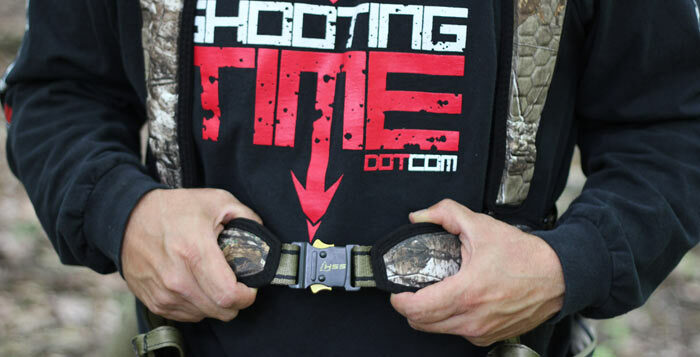 We think this harness is a must have for any treestand hunter. It’s comfortable, lightweight, is very adjustable, and performs great in the field. It’s very affordable yet well built. 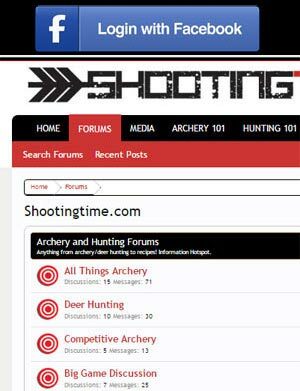 It definitely makes hunting from a treestand much safer and will no doubt help to reduce treestand falls which make up around 50% of all hunting injuries. For more information on this treestand, visit http://www.huntersafetysystem.com/. We highly suggest giving the Ultra-Lite Flex Safety Harness by Hunter Safety System a try!